Singer, songwriter, musical interpreter, actress, humanitarian, political and social activist. All these titles and more describe Judy Collins many accomplishments in life. While this CD, obviously, concentrates on the musical side, it is worthwhile to note all the facets of her distinguished career and her sometimes rollercoaster personal life. Born on May 1st, 1939, Judy Collins was the eldest of five children — two girls and three boys. Encouraged by her father, a blind musician and singer who had his own radio show, music was at the centre of her life from a very early age. Indeed, she was taking piano lessons from the age of 4 and performed Mozart's Concerto for Two Pianos with the Denver Symphony Orchestra at the tender age of 13. Soon, however. she found herself drawn to the folk sounds of Woody Guthrie and Pete Seeger and persuaded her father to buy a guitar. By the age of sixteen, she was performing in clubs in Colorado. in Denver and Boulder and Central City. all the while focussing on the burgeoning Greenwich Village scene in New York, her ultimate goal. At the age of 21, she finally reached the Big Apple. where her clear. distinctive vocals soon gained the attention of Elektra Records guru, Jac Holzman. who signed her swiftly to the label. Her debut album. A Maid of Constant Sorrow followed in October that year. Consisting of 13 tracks of traditional folk numbers, performed with acoustic guitar, this was a perfect showcase for her vocal style. A second album, Golden Apples of the Sun, followed in June 1962 and contained 12 tracks in the same format. Always an excellent interpreter and arranger, her third album, entitled, logically enough. Judy Collins #3. saw a move to some more contemporary material and featured the guitar of soon-to-be Byrd Jim (later Roger) McGuinn plus other musicians. This album also featured Pete Seegers' arrangement of Ecclesiastes, Turn, Turn. Turn and Bells of Rhymney. tracks that McGuinn later recorded with the Byrds. A live album, In Concert — Town Hall Live, hit the shelves in October 1964. Unexpectedly, instead of being a round-up of songs from the first three albums, this mostly featured new selections. with only a smattering of songs from the earlier records. Despite a growing reputation and four albums to her credit. chart success in the US was still elusive. Indeed, the only opportunity UK enthusiasts had to obtain a Judy Collins album was as an expensive import. 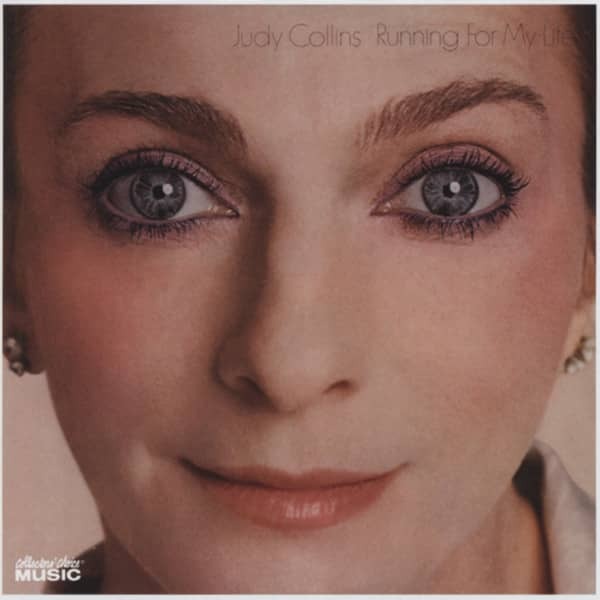 but fortunes in her home country improved with Judy Collins' Fifth Album in late 1965. Although #69 may not seem like a significant peak chart position, it was, perhaps, the break needed to secure UK release for subsequent albums. Fifth Album again featured interpretations of songs by contemporary artists. including Bob Dylan's Mr. Tambourine Man and Gordon Lightfoot's Early Morning Rain. each track in turn benefiting from the ringing clarity of her voice. In My Life, the follow-up in December 1966, brought a further mix of interpretations of contemporary songwriters' work, including a striking and. one would think, unlikely version of lugubrious Canadian. Leonard Cohen's, Suzanne and Donovan's more up-tempo Sunny Goodge Street. Released in the UK on London records, the album did not reach the chart, but at least it was readily available to British enthusiasts. In the US, it reached #49. A significant change of fortune came with the album Wildflowers in January 1968. While the UK remained largely indifferent. the home audience carried it to a peak position of #5. Wildflowers also represented a significant stylistic change, being entirely arranged for an orchestra by Joshua Rifkind. It was also the first album to feature Judy's own songwriting. Despite this. it was Both Sides Now. a Joni Mitchell song that was both the opening track of the album and the first single to be released from it, backed with Sandy Denny's haunting Who Knows Where The Time Goes. a taster for the next album. that sailed to #8 in the US singles chart. Another Joni Mitchell cover version. Chelsea Morning. was apparently responsible for Bill and Hilary Clinton's choice of first name for their daughter! In the UK. it was. of course, Judy's version of Amazing Grace, recorded in St Paul's Chapel, New York. that finally gave her a long-overdue success, reaching #5 in the singles chart in 1970 and returning to the Top 20 two years later. Released in advance of the album it was culled from, Whales and Nightingales. it paved the way for the album to reach the UK Top 40 and the US Top 20. Success was far from guaranteed in the fickle UK market, however and Living, a part studio-part live album released in early 1972 didn't chart, while it reached only #64 in the US. True Stories and Other Dreams repeated the pattern of success in the US and no chart appearance in the UK. This changed dramatically, however, with the release of the single of Stephen Sondheim's unforgettable Send In The Clowns, which reached #6 and helped carry the subsequent album, Judith to #7 Curiously, neither single nor album achieved the same chart success in the US, reaching #36 and #17 respectively (although it should be remembered that volumes of sales between the two countries are dramatically different for the same chart position because of the scale of the US market). As background to the apparently furious recording and performing schedule that had been the pattern up until now, Judy was also highly politically active; while campaigning for civil rights in Mississippi in the 60's. she was arrested and in 1973 suffered the same fate during a protest against the Vietnam War. In addition, her personal life had seen its fair share of ups and downs. Judy met her first husband Peter Taylor when she was 16. Already pregnant, she married him in 1958 and gave birth to a son. Clark, in January 1959. With the rapid acceleration of her career subsequent to the move to New York she was spending as much time with her new family as she was on the road — a tale that is entirely more familiar for male performers than female, particularly at the time. Inevitably, the strains showed. and the couple were divorced after 7 years, with Judy losing an acrimonious battle for custody of their son. She was receiving therapy for depression. and a drink problem that dogged her for many years exacerbated the situation. In 1968, Judy first met Stephen Stills and began a celebrated, if fiery relationship. They met during recording sessions and Stills, whose band. Buffalo Springfield had just split, was casting around for another singer for what was to become Crosby, Stills and Nash. There were irreconcilable differences in the relationship, however. Judy was firmly rooted in New York, while Stills was the archetypal Californian and didn't like the East. He also had strong ideas about the directions Judy was taking both musically and in her own life and expressed his opinions forcefully. In an attempt to express his feelings, he wrote the emotionally naked Suite: Judy Blue Eyes, which appeared on the first Crosby, Stills and Nash album. Inevitably, the relationship had to end. Late in 1968, Judy's son, Clark came to live with her after four years with his father. Actor, Stacy Keach replaced Stills in Judy's affections, but career pressures split the couple in 1974, despite hints of marriage. Drink and drug problems began to take hold in the mid-70's — she had been fighting alcoholism for more than two decades - and in 1978 she entered rehabilitation, where she learned to handle her depression through meditation and exercise. Days before entering rehab, she met Louis Nelson, who has been her partner ever since, providing the solidity and balance she required. An industrial designer and planner, his work is firmly removed from the music industry. They were married in 1996. While Judy was finding new vitality and purpose, her son Clark was fighting his own demons. He had been experimenting with drink and drugs from an early age and was admitted to rehab in 1984. On release, he appeared to be recovered. He married and had a child, but attempted suicide in 1991 and killed himself in 1992, aged 33. On the advice of friends, Judy toured to find healing through art, but she was devastated at the loss. She wrote songs about Clark and his death, but may never perform them for the pain they represent. While chart placings have ceased to be guaranteed. both in the US and UK, a strongly-established, solid fanbase ensures that there is always a welcoming audience for new Judy Collins albums. 1979's Hard Times for Lovers was her last album chart appearance. Since then there has been a regular flow of albums approximately every two years. including Running for My Life, The Time of Our Lives. Home Again. Trust Your Heart. Sanity and Grace, Fires of Eden. Judy Sings Dylan... Just Like a Woman and Songbook. Judy now has her own recording label, Wildflower Records, named after her 1967 album. In a typical act of selflessness, a portion of the label's proceeds go to charity. With her personal demons quieted, a secure relationship with her husband and confidence in herself and her voice, and with over 40 years of musical experience, Judy Collins is well placed to continue delighting and bathing in the goodwill of audiences the world over for decades to come. Customer evaluation for "Running For My Life (1980)"